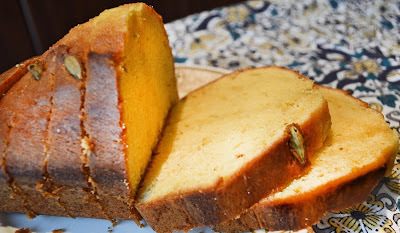 This is a very simple sponge cake that is made in almost every Malabar homes. It's not too sugary like normal cakes and goes really well with a cup of hot Indian tea or coffee. My good friend Tania baked this cake for me and another friend yesterday. The three of us (and Aisha) sat down in her kitchen and devoured it with no shame. hehe. 1. Preheat your oven to 190C. Grease and line a baking pan and keep aside. 2. In a bowl whisk the eggs sugar and on high speed for about 10 minutes until thick and pale and leaves a thick trail when the beaters are lifted. 3. Fold in the flour and melted butter. Be careful not to knock out much air. Pour into the prepared tin. Bake for about 30 minutes or when a skewer inserted in the center comes out clean. Turn the cake on the wire rack, peel the parchment paper and leave to cool completely. 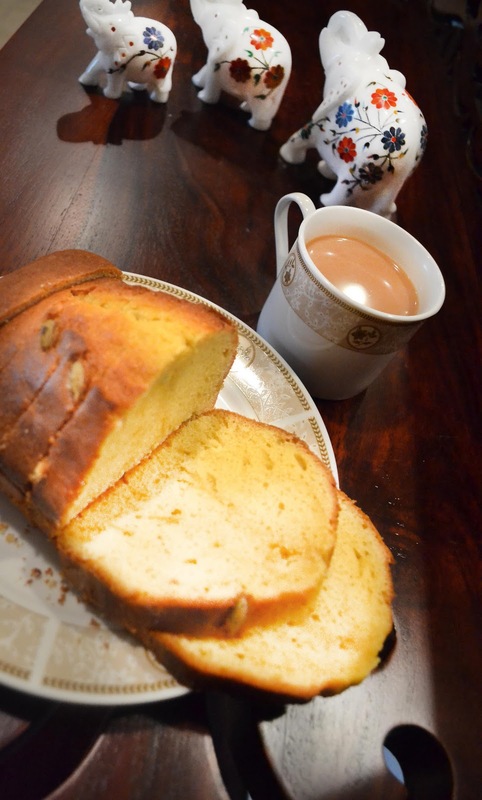 Note: Recipe belongs to Shab's Cuisine with few tweaks by Tania. I am wondering if I leave the seed casings on my cardamom pods? This looks wonderful.